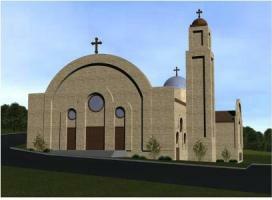 Through the guidance of His Holiness Pope Shenouda III, and upon requests submitted to His Holiness during a visit to Cleveland, Ohio in September 1991, the parishioners were privileged to establish two churches: St. Mary Church in Columbus and St. Mina and St. Abanoub Church in Dayton. 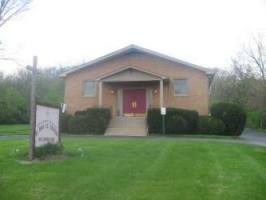 Our church was bought in April 1993. On August 21, 1999, His Holiness Pope Shenouda III visited our church for consecrating the Holy Altar and the Icons. Click here to view more information about the Pope's visit. Due to expanding congregation, new church was constructed across from the old church building and the first liturgy was celebrated on July 10, 2010.